We all hate PIMPLES. It's frustrating to have that pink bump appear after you wake up. Breakouts are caused by dirt that sits inside the pores and causes pimples. Finding a remedy for breakouts nowadays is never easy as not all products who claims they can, can. Believe me, I have tried almost all sorts of ways and cleansers but I never seem to find the perfect pimple killer yet. 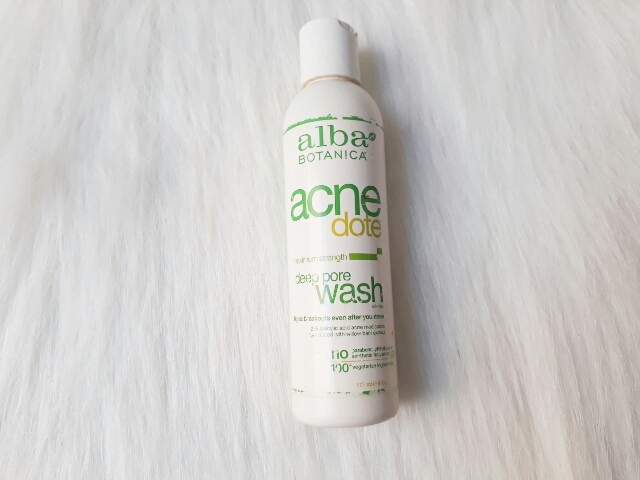 But then I found Alba Botanica's Acne Dote Deep Pore Wash. It was a good referal by my best friend Aira. 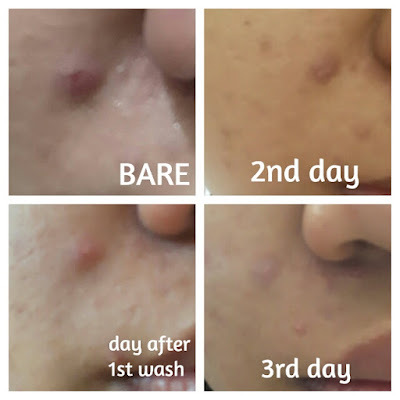 She has worst breakouts before and then to my surprise, I noticed that her pimples were gone and her face is like someone who went through an ultimate facial magic. So I asked her to buy me one to know if it's effective to me. The Alba Botanica ACNE DOTE has 3 available products to fight acne. Deep Pore Wash: Fights breakouts even after you rinse. Invisible Treatment Gel: Claims to give you clearer skin in 4 hours. These products are in MAXIMUM STRENGTH which contains 2% salicylic acid formulated with willow bark extract. All of these products costs around Php 400 when I bought it (sorry, can't remember the exact amount) from Healthy Options. The bottle has this opening that is very convenient to use. 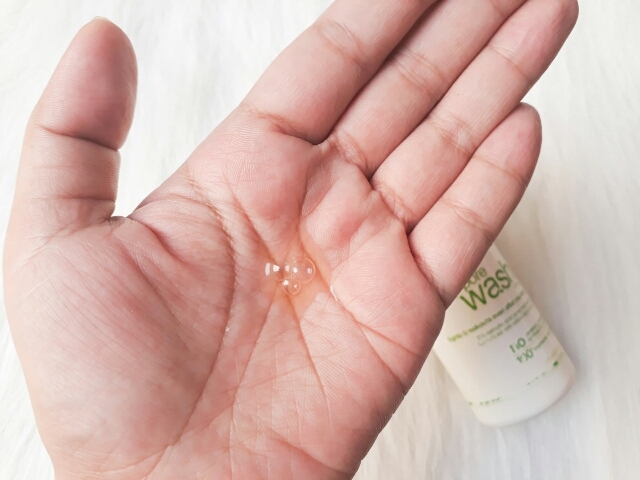 Just squeeze up the bottle to get an ample amount of product into your palms! The Alba Botanica's ACNE DOTE Deep Pore Wash is an oil-based cleanser. This product is dermatologically tested and you are expected to see clearer skin in 7 days. It's not everyday that a a product performs as it claims. It is non-comedogenic and does not clog pores. 100% vegetarian ingredients. NO PARABENS! (If you're a skincare rookie, Parabens are a class of widely used preservatives in cosmetic and pharmaceutical products.) This means, all natural products and ingredients were used. I have a very sensitive skin. Almost all of the products that I get to try reacts easily and causes pimples and breakouts. I am happy to find this cleanser because it amazed me how it works so fast. I recently had a huge zit on my cheek when I tried using a local foundation. It is a cystic pimple that contains a fluid inside. Before I have tried Alba Botanica's Acne Dote Deep Pore Wash, I am used to popping pimples because of its annoying appearance. I wanted to get rid of it asap but turns out that by doing that, it will leave a pimple mark after that will be too hard to remove. Now, whenever I have breakouts like this, I only wash my face with Acnedote's Deep Pore Wash. 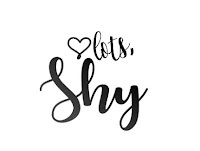 It stings a bit when washing but as for me, I prefer products which stings because I know that it's working itself on my skin. Some don't like products that sting. 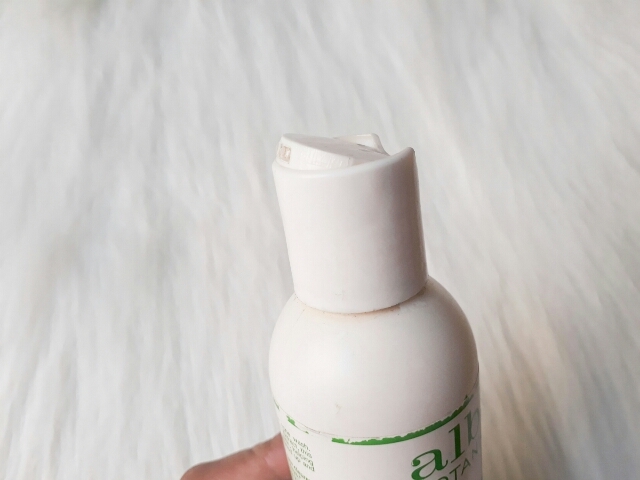 My life has never been better until I used Alba Botanica's AcneDote Deep Pore Wash. I'm no longer shy to flaunt a bare face! Wow nice results dear! Must try this then. I recently had acne breakouts too. This is really interesting. There are some.times na bigla nalang din may nagpa-pop up na malaking pimple sa mukha ko. Nakaka stress lalo pero bigla nalang din nawawala kahit wala akong ginagawa sakanya. Thank you for sharing this product review. 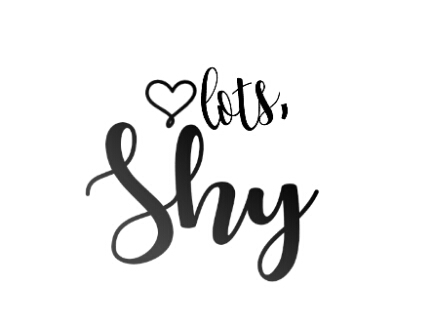 Maybe one day ma try ko sya. Buti pa sayo sis mabilis mawala. Sakin pag di gnagamitan ng treatment wapa mangyayari 😭😭😭 but thankfully I found this!